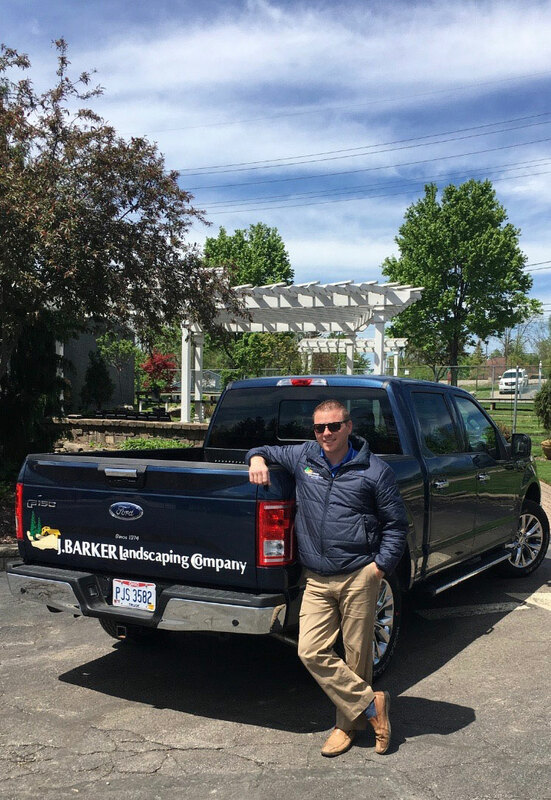 Brandon Barker, commercial operations manager for J. Barker Landscaping Co. in Bedford, Ohio, says that his 2017 Ford F-150 XLT Crew Cab is perfect for the various tasks that might come up throughout his day including pulling trailers, hauling various materials and getting around town quickly and efficiently. It’s also been a great vehicle for “office work,” Barker says. The truck has the amenities he needs to make it a comfortable mobile office since he’s typically only in his physical office two to three hours a day. Barker spends most of his time on the road checking on job sites, meeting with customers and estimating potential projects. We recently caught up with Barker in between jobs to find out a bit more about his days on the road and what he keeps in his truck. The Ford F-150 XLT Crew Cab is also a great truck when I’m not at work. It is extremely spacious with four doors and a large backseat. It’s flexible enough to work for both business and personal use. It has many of the luxury options on it that you would want for your own everyday car or truck. I always like to have my truck clean and shining. It’s important to have the inside and outside as clean as possible. This is not only good for the longevity of the vehicle, but also shows customers that you take good care of what belongs to you. I’m going to treat my truck like I treat their properties — clean, neat and with a strong attention to detail. I connect my iPhone 6s through my truck’s Bluetooth, which is important because I’m on the phone constantly. It allows me to easily check my steady influx of emails as well. Sending an email has become a first line of communication for many customers of ours. If I get an email while I am out on the road, I am still able to respond in a timely manner by keeping my iPhone handy. Keeping my iPhone on me at job sites is also a must in order to use its camera. I’m constantly taking pictures on potential job sites. It’s important to get your company name out there as much as you can. Our fleet has our company logo and phone number on the side of every truck, and our website can be found on the tailgates of our pickups. We also have logos on the majority of our equipment and trailers. Vehicle branding is an easy way to get your name out there when you’re on the road every day. I always keep a change of clothes in my truck. If I ever need to go somewhere straight after work, then I am ready to go with nice, clean clothes. This comes in handy if I’m meeting my girlfriend for dinner or for any other event that may come up.